The prayers of the community have been answered. Call of Duty fans, rejoice—it appears that some form of a ranked playlist will be featured in the upcoming Call of Duty title. The community has been waiting for some indication that a ranked game mode will be included in Call of Duty: WWII, and fans received an answer late Friday night. 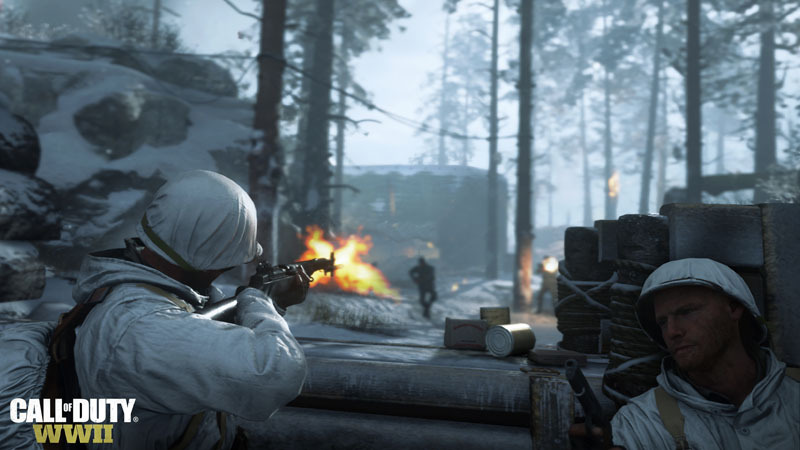 Michael Condrey, the chief operating and development officer of Sledgehammer Games, showed the community a brief glimpse of a WWII menu screen in response to a tweet from former professional Call of Duty player and current YouTube personality Matthew “Nadeshot” Haag. Earlier on Friday, Nadeshot tweeted, “currently day dreaming about a potential ranked playlist in CoD: WWII.” Several hours later, Condrey replied to Nadeshot’s tweet, revealing a WWII menu where players can choose which game mode they want to play. In the top left corner of Condrey’s screengrab, it says, “choose your match type,” and there are six options on screen: Public Match, Ranked Match, Custom Match, Daily Mode, Last Played, and Nazi Zombies. Although Condrey didn’t release any other information about the mode, this screengrab at least confirms that there will be some form of a ranked playlist in WWII. Now, several fans are hoping that WWII’s ranked mode will be similar to the very successful League Play playlist from Black Ops II. The answer to this question, however, likely won’t come until closer to WWII’s release date, which is set for Nov. 3.